It has been a very hot period, and we have had to work at keeping the animals cool and the garden watered sufficiently. 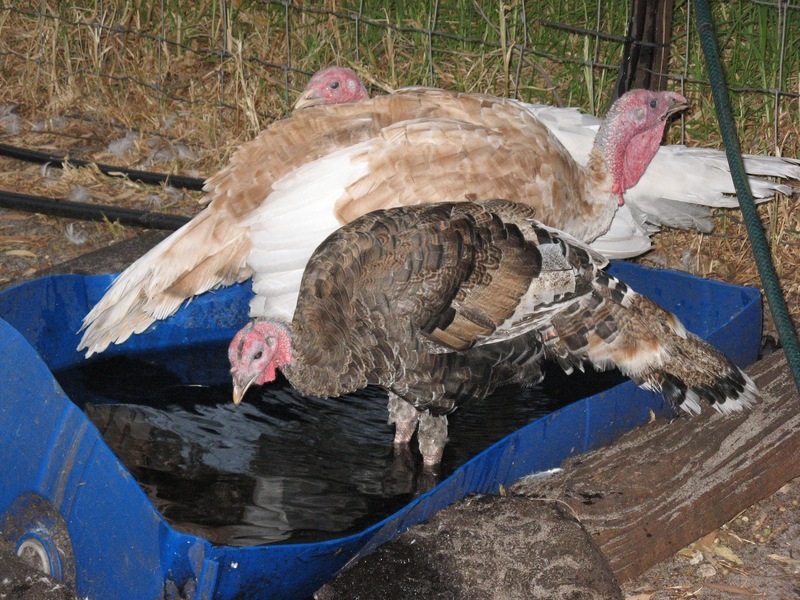 We have discovered that turkeys love to get wet! 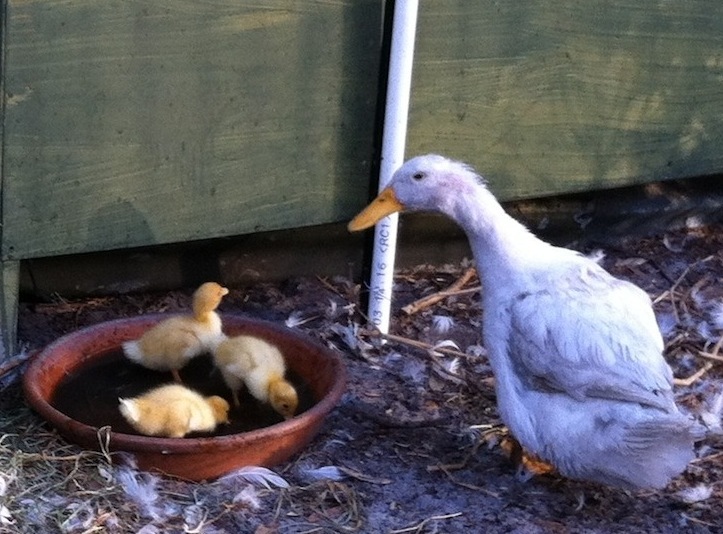 In this hot weather, they have gone into the duck’s water for a paddle and splash around! Is it a duck? Is it a goose?......No, it's a turkey? We have just finished planting out a native/bush-food garden at the front of the house. Previously there was a massive philodendron that was starting to look tatty, way too big, and was burnt by the sun every summer. This was pulled out (no mean feat!!) with the poor, long suffering 4WD dragging the boat anchor (many times) through its roots until all were removed. Then the area was landscaped with a truck load of soil and another of bark chips, and then planted out. 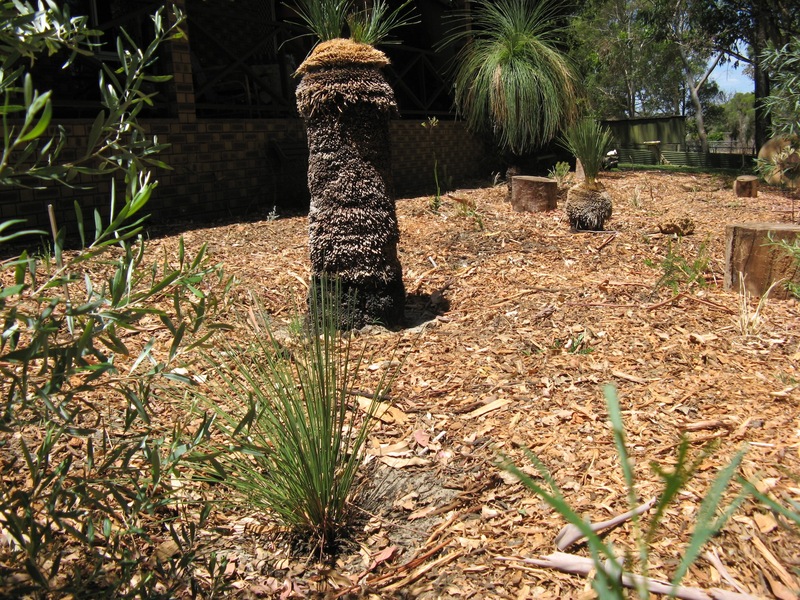 We purchased three grass trees from Replants, then numerous other natives from Australian Native Nurseries (choosing bush foods as much as possible). Some of the philly still lives in pots, the rest ( like all our branches and cuttings) went down to help re-greening elsewhere by covering some bare sand in one of the back paddocks (the old horse arena)—there to act as a temporary sunshade and catchment for self-sowing native plants to take hold and thrive in. Now we just need it to grow!